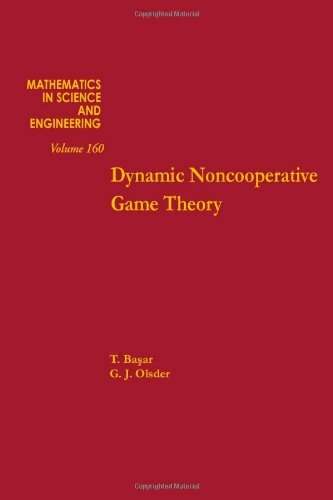 [PDF] Dynamic noncooperative game theory, Volume 160 (Mathematics in Science and Engineering) | Free eBooks Download - EBOOKEE! Description: Intended for postgraduates and researchers in economics, statistics, maths and engineering, this book presents an extensive and updated treatment of static and dynamic non-cooperative game theory. It emphasizes the interplay between dynamic information patterns and the structural properties of several different types of equilibria. No comments for "[PDF] Dynamic noncooperative game theory, Volume 160 (Mathematics in Science and Engineering)".